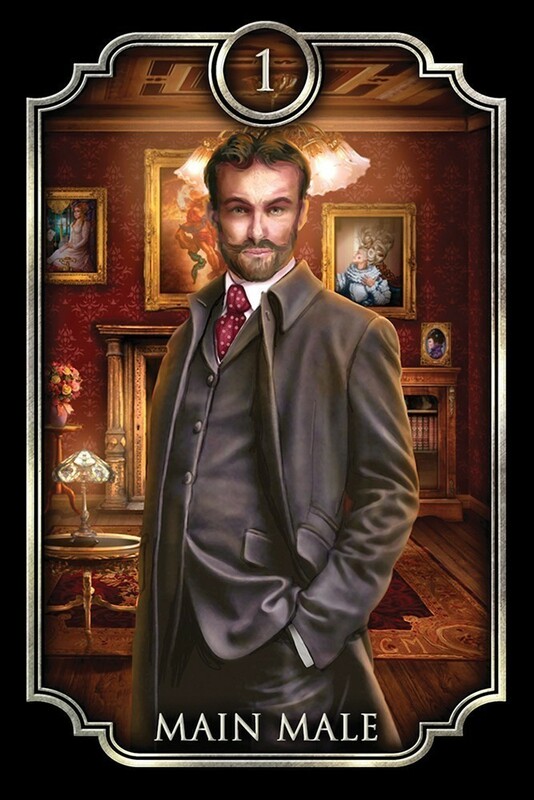 Ciro Marchetti has situated the traditional German fortune telling deck at the turn of the 19th century in Victorian England. In this expanded gilt deck with three additional cards, rich images tell the stories of the workers as well as the wealthy during the Industrial Revolution. 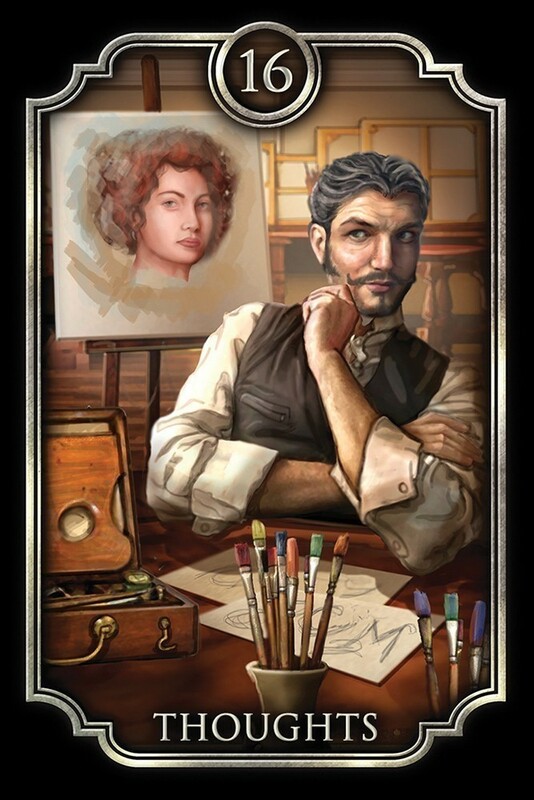 Using augmented reality, via the Aurasma application, Ciro has brought the Fin de Siècle cards to life in stunning, new ways. Guidebook with interpretations by three expert contributors. Includes 39 cards. 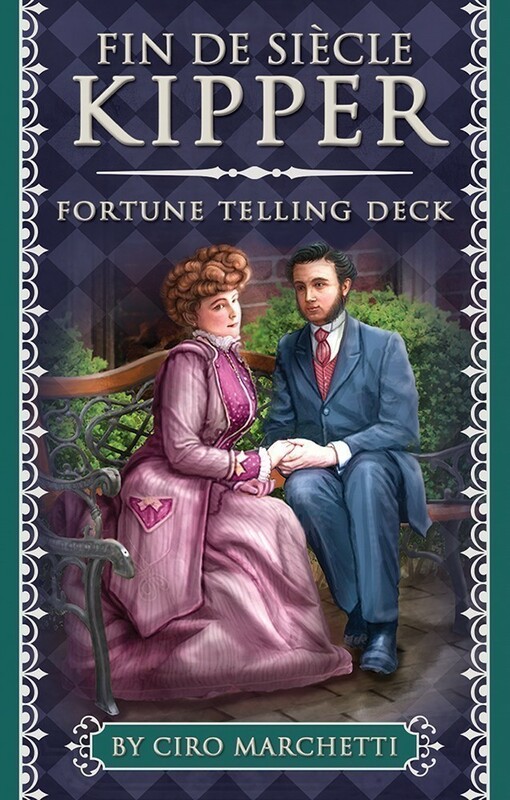 From the wonderful Victorian images to the silvery card edges...I’m over the moon for this deck! I’m also loving the fold over box lid that closes magnetically. 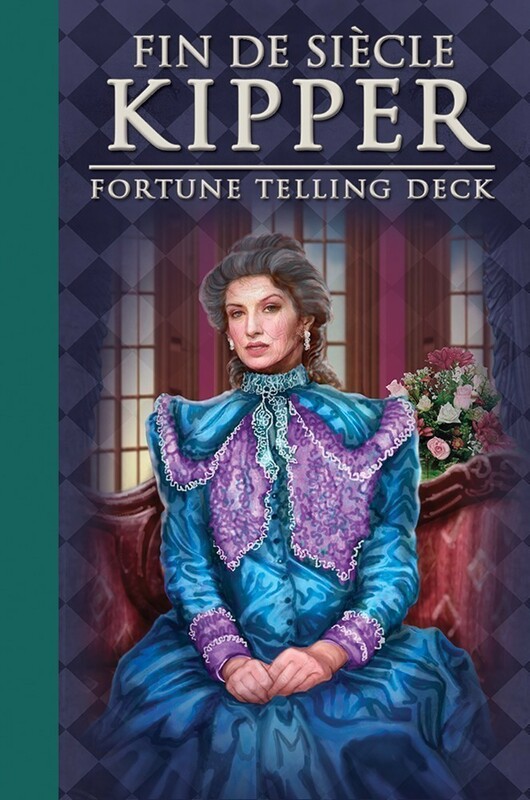 U.S. Games and Ciro Marchetti have executed a wonderful product that I recommend to anyone who has an interest in learning “Kipper” card reading. I love that Ciro has updated the imagery in a way that keeps the integrity of the original cards yet gives us something fresh and new. In the guidebook you will find quite a bit of information-and I like this. 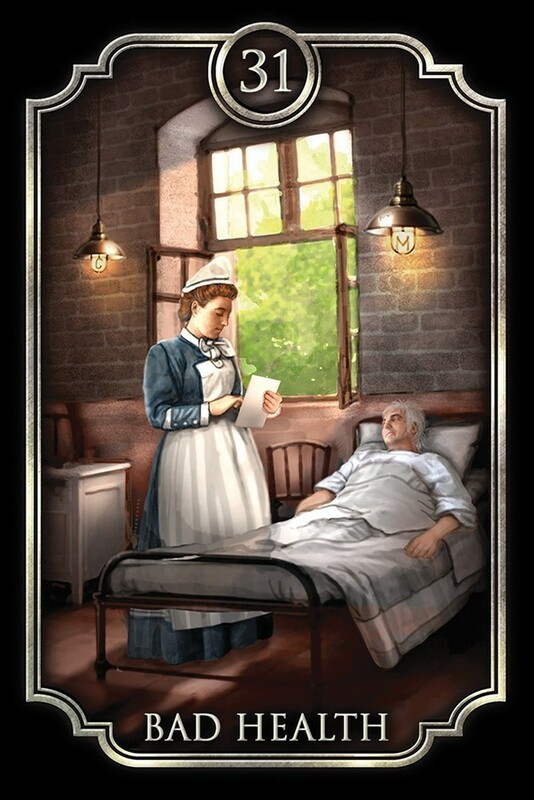 In the past we’ve seen many LWB’s that give us very generic information about card meanings. This book is truly a guidebook that you will want to read. 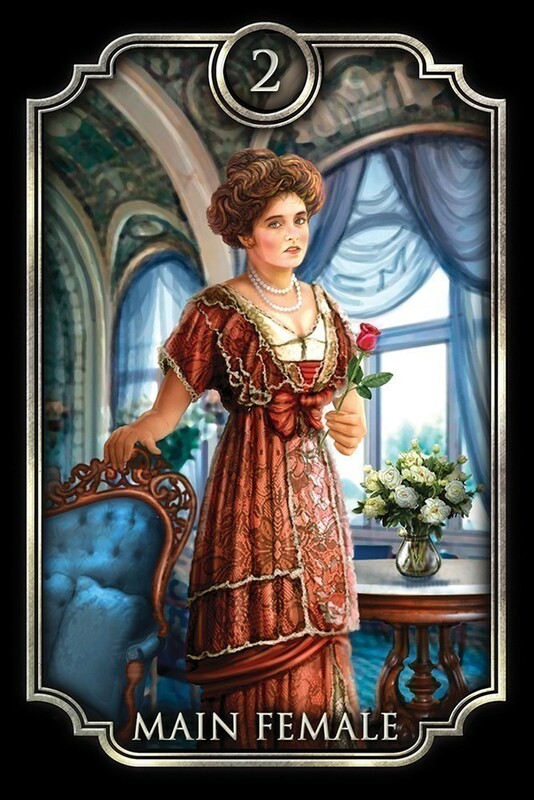 Ciro covers the story about how this deck came into being as well as information from three different experts that will help you learn the card meanings: Fortune Buchholtz, Stella Waldvogel and Susanne Zitzi. This deck is just one surprise after another is my first observation to share with you and they are all good surprises might I add. First is the package the deck comes in; a magnetic close box, ahhhhh! You have to be a real card person to understand why I say ahhhhh, it’s the simple things in life right? And continuing on the materials side of production, the card stock is nice and thick and the silver gilt edging is very nice as well. Nice presentation US Games, Inc.
Mr. Marchetti did his typical amazing job at designing these cards, artwork extraordinaire. He took the cards from what was their home in Bavaria during the Biedermeier period and moved them to London, and he made the move quite smoothly. While the older style decks have a charm I love, this deck exudes his chosen area and era without being over the top. 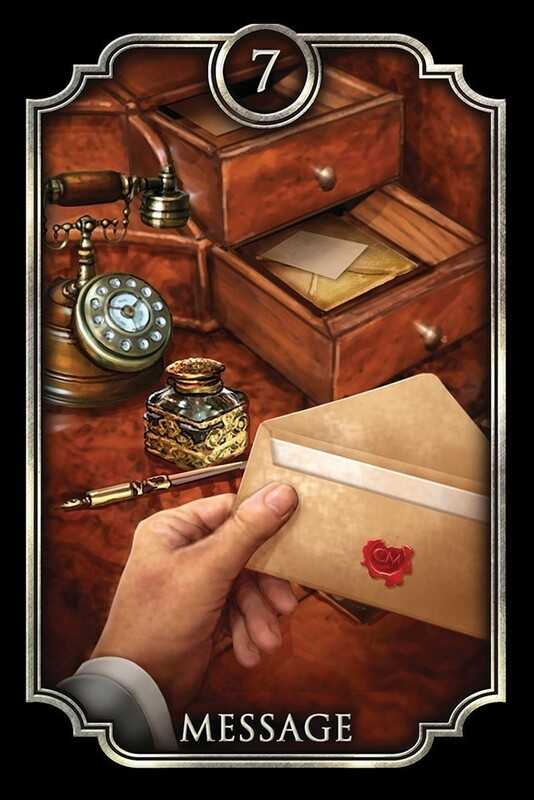 Many of the cards share elements from one or another card(s) in the deck giving you a sense of continuity that a card reader will appreciate for its flow of energy as well as artistic appeal. Ciro did an amazing job of capturing the energy of each card and updating them to scenes that we of the 21st century can quickly analyze. 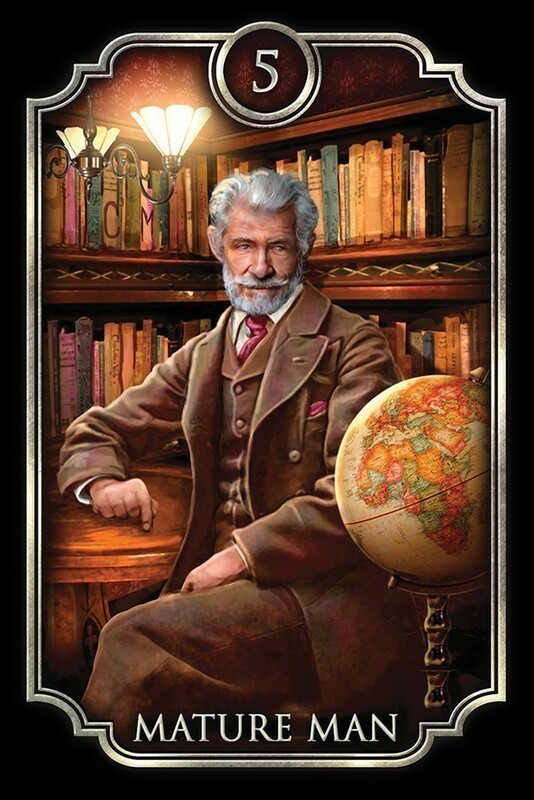 The older decks don’t translate as quickly to us in this day and age as this deck does and he has remained true to the cards as individuals and as a whole, in my opinion. Like magick the deck animates and gives you core meaning information right on your phone or tablet. Watching some and listening to others gave me a chuckle or two and I will say that quickly the meanings stick in your head via this method. It’s a free app (the LWB tells you all about it) and it is well worth the time downloading it to use as a learning tool. And last but not least is the Little White Book (LWB) that comes with the deck. As most of you know already, there is little to nothing written in the English language to help you learn Kipper. This LWB does so in dare I say grand style. Not one or two but three different and respected Kipper readers offer their viewpoint on each card. Stella Waldvogel, Fortune Buchholtz and Susanne Zitzi share their combined and rather formidable knowledge of the cards in a very brief but very clear and concise manner. For those of you looking for more written knowledge of Kipper this could well be what you need until someone releases a book on the subject. I will also say, I took a lot of notes into my personal Kipper journal from this LWB and that is something I rarely do from any LWB no matter how rare the find of info. I did take the deck for a test run if you will. As I said I was learning Kipper and I had a Kipper 101 Exam from the World Lenormand Association who offered this class, by the way don’t let the name fool you they know Kipper as well. 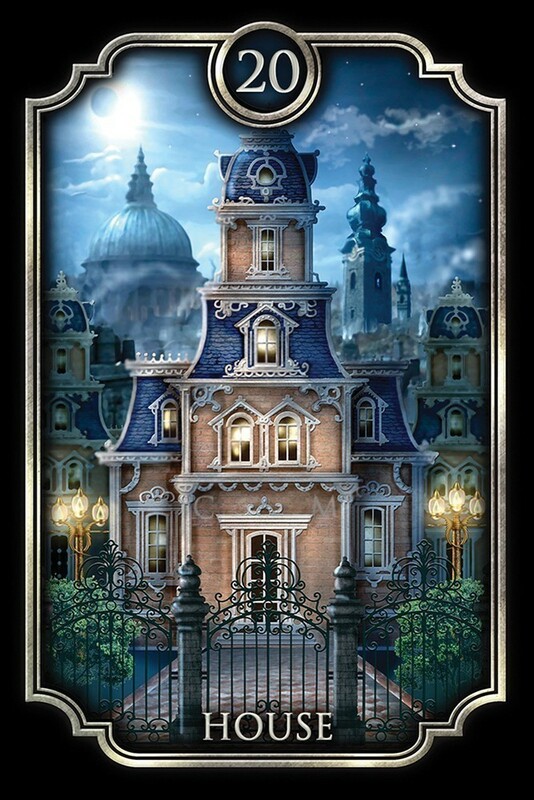 The deck shuffles well and I could quickly and clearly read both what the cards were as well as the energy they represent. So to sum it up I say this, grab this deck because this Kipper is a Keeper! 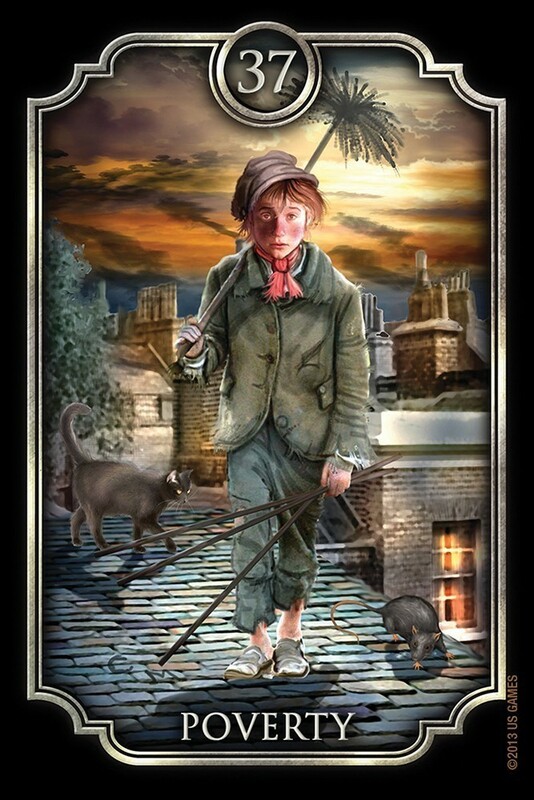 It is the end of the 19th century that lends its Victorian clothing styles, architecture, and the early inventions of the Industrial Revolution to the images depicted in the Fin de Siecle Kipper created by renown Tarot artist, Ciro Marchetti. Images are lovely and the black background of the cards really helps the colors to “pop,” for greater visual impact. The finish is a high gloss that gives the images of the Fin de Siecle Kipper a lovely sheen. The cards glide smoothly against one another in shuffling and laying out spreads. I really enjoy the feel of this deck. Silver gilding, a compact box with magnetic closure, a guidebook written by several experts in the field of Kipper card reading make for a wonderful & very useful product from USGS.